Sarah Elizabeth Bennie: Super busy! I've been very busy for the last few months, designing, making and selling things while tackling my second year at university. Second year has been exceptional so far, only can get better. I felt as though the blog needed a little update on my career path/decisions. I have plenty of photos of the variety of skills I am learning and hopefully will be able to share them very soon, once I catch my breath. 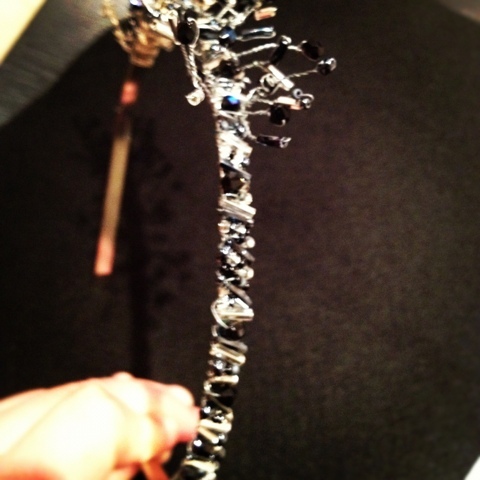 In the meantime, here is my first piece of my tiara/headdress collection, 'Fairies in the Garden', named 'Glisten.' Hope you like it!